February is the time of year when we consume even more than usual, often from heart-shaped boxes gifted by an admirer. Daddy gave Mother a box for her birthday in November and for Valentine’s Day. She didn’t share these boxes, but hid them. Whenever her craving prompted her, she would have her choice from those in the Whitman Sampler box. Probably one of the most universally loved foods, the average American consumes roughly 11 pounds of the stuff a year! It is hard to imagine a world without chocolate and this love of the heavenly substance stretches all the way back to our country’s colonial roots. Before the mid-1800s, if you had a craving for the world’s favorite sweet, you drank it! Chocolate has its origins in South America where archaeological evidence indicates it was being cultivated and consumed over 3,000 years ago. 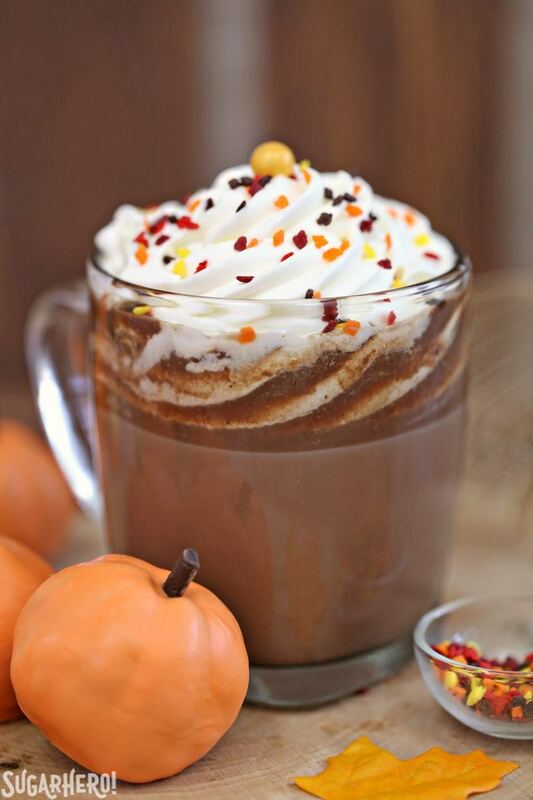 The Spanish were the first Europeans to try the spicy chili and chocolate beverage of the Aztecs. They introduced it to Europe in the 1600s where, with the addition of sugar, it became the height of fashion. By the end of the Commonwealth in 1659, Thomas Rugge, a London diarist, was writing in his Journal about coffee, chocolate and tea as new drinks in London, and referring to chocolate as ‘a harty drink in every street’. Drinking chocolate of the 18th century was different from our ubiquitous modern day cup of cocoa. It was made with either cacao nibs or blocks of compressed chocolate that were then grated or ground to a paste and dissolved in a warm liquid inside a dedicated ‘chocolate pot’. The chocolate was added to any combination of water, milk, cream, wine, or even brandy for an extra kick. This mixture was combined with sugar, though less than we use because it was an expensive import in colonial America. Other common ingredients included chili pepper, vanilla, nutmeg, or allspice. This resulted in a rich, sweet, spicy, and bitter drink that the colonists couldn’t get enough of. We know that many early Americans were fans of chocolate, but it wasn’t available to everyone. In the 1700s, chocolate was still a fairly expensive drink, similar to tea or coffee, making it a beverage of the upper and middle classes. It was seen as a nutritious and filling health food, commonly had with breakfast. In1757 George Washington ordered 20 pounds of chocolate from British merchant Thomas Knox. While living at Kenmore Plantation, George’s sister Betty Washington Lewis ordered a gallon of chocolate. The chocolate would have been delivered in chocolate bars. 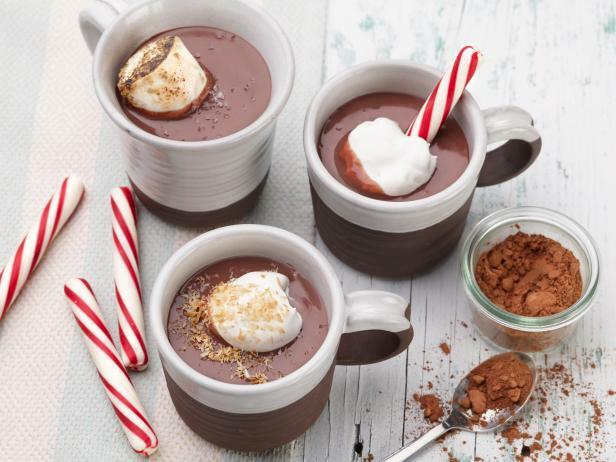 It may seem strange to us that there were special cups just for drinking chocolate. However, since it was a luxury good enjoyed by the upper classes, it had a specific set of objects associated with its preparation and consumption. 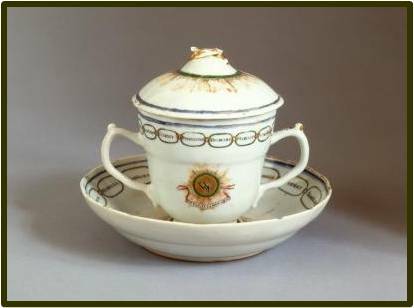 A teapot or teacup could have easily functioned for drinking chocolate but the purpose of this specialized material culture was to show off wealth and sophistication. 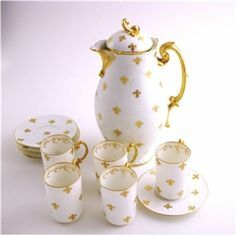 For this reason, a well-to-do colonial household would have separate sets of vessels for the making and consumption of tea, coffee, and chocolate. Using the right one in the right way let your peers know you were a well-educated gentry woman or man. Chocolate cups and pots were often made of fancy material like silver or porcelain to show off the wealth of the owner and reflect the nature of the luxury ingredient. Chocolate cups can be identified by their straight sides, unlike the gently sloping sides of a teacup. Similarly, 18th century chocolate pots generally are taller and have straighter sides compared to contemporary teapots. They also have a shorter spout with no strainer and often have a straight handle that juts out from the body. Kind of makes you want to try eighteenth century chocolate drink, doesn’t it? The next time you’re enjoying a bite of a candy bar or sipping your instant cocoa, think of the lofty origins of that treat and be grateful to the sweet-toothed colonials who so prized delicious chocolate! 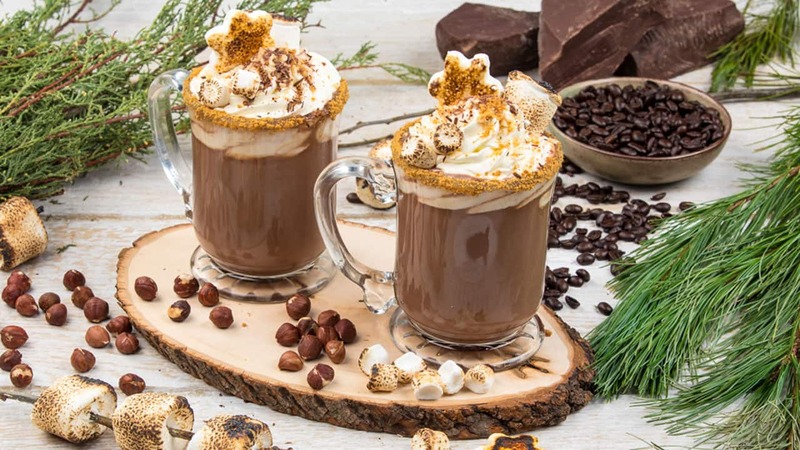 I grew up with hot chocolate being a treat on cold nights, and marshmellows were added for a topping. Even now, I will make us a cup during the winter months as a treat. 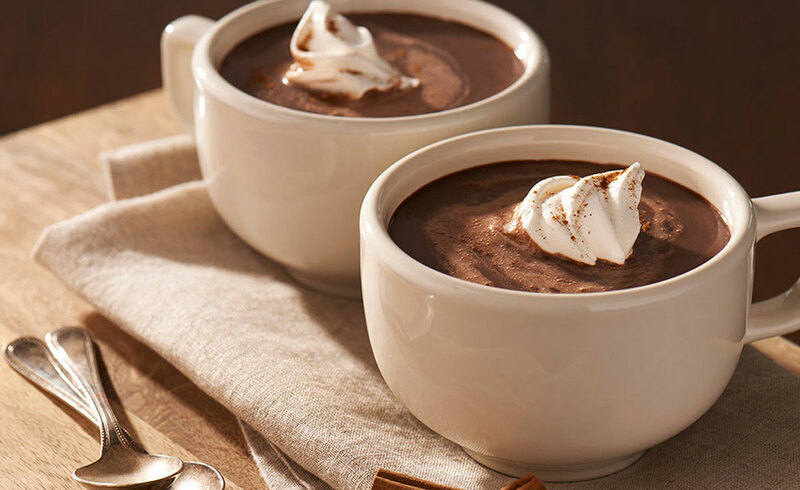 Whether with that white addition or not, hot chocolate seems to be a comfort food to be enjoyed. Posted in Uncategorized and tagged Bill Watterson, chocolate pot and cups, George Washington, hot chocolate. Bookmark the permalink.